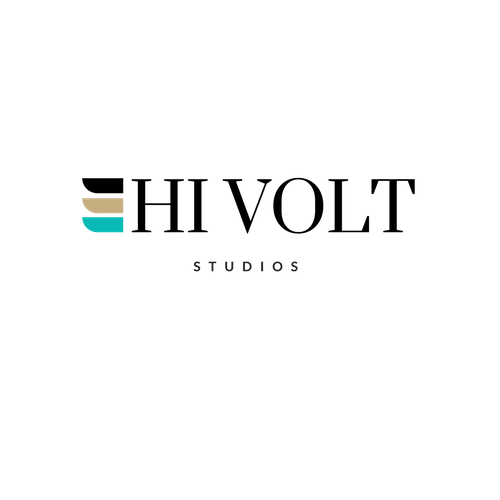 Hi Volt Studios Signature Albums & Prints Turn Your Images Into Art. 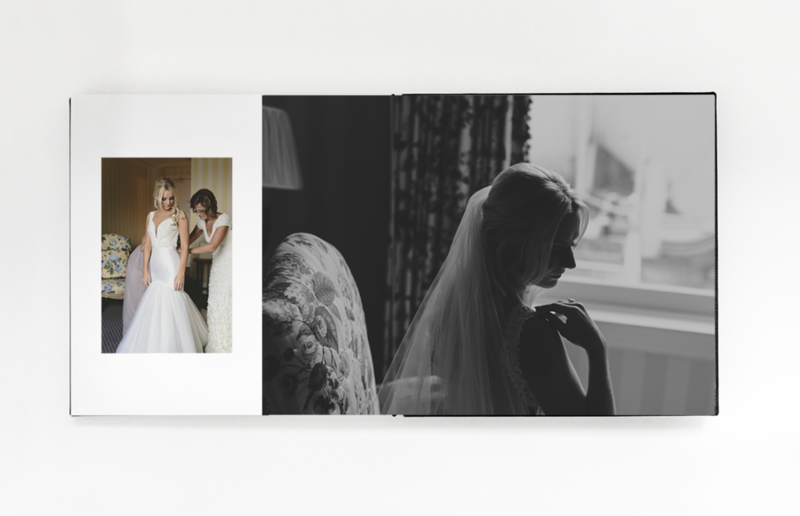 Archive your special memories with an elegant handcrafted, luxurious photobooks to sit on your coffee table and pass down from generation to generation. A clean and modern look. Prints are mounted and extended across the design. Printed directly on the page with true photographic paper. The Flushmount is the perfect way to tell your story. A full spread includes the left and right side when laying open. Our spreads are creased in the center for a seamless layflat design. Choose any number of spreads between 10 and 40. Note: our albums begin and end with full spreads. Available in sizes from 8x8 up to 12 x12 inches. 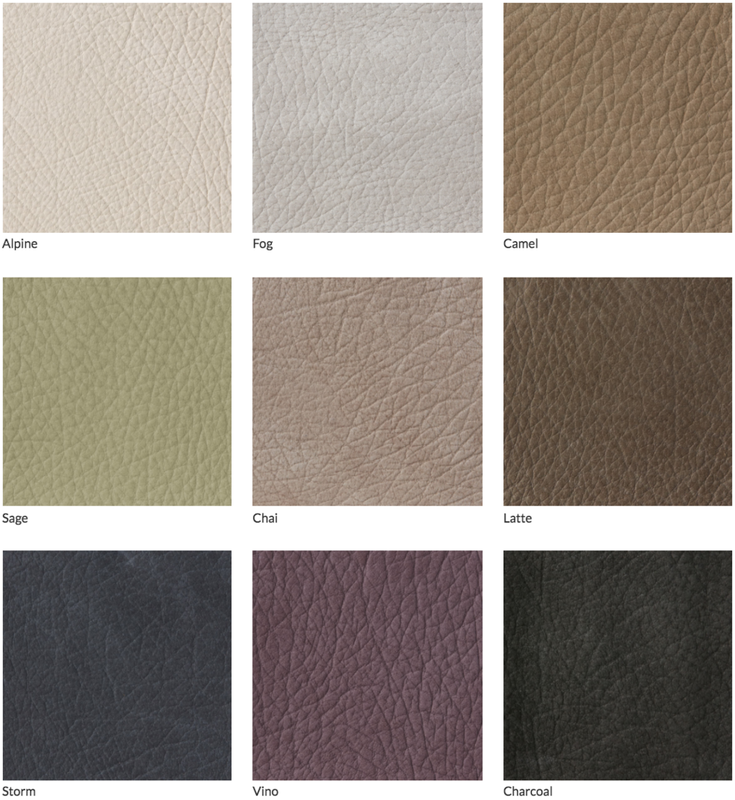 Choose from our wide range of cover materials. 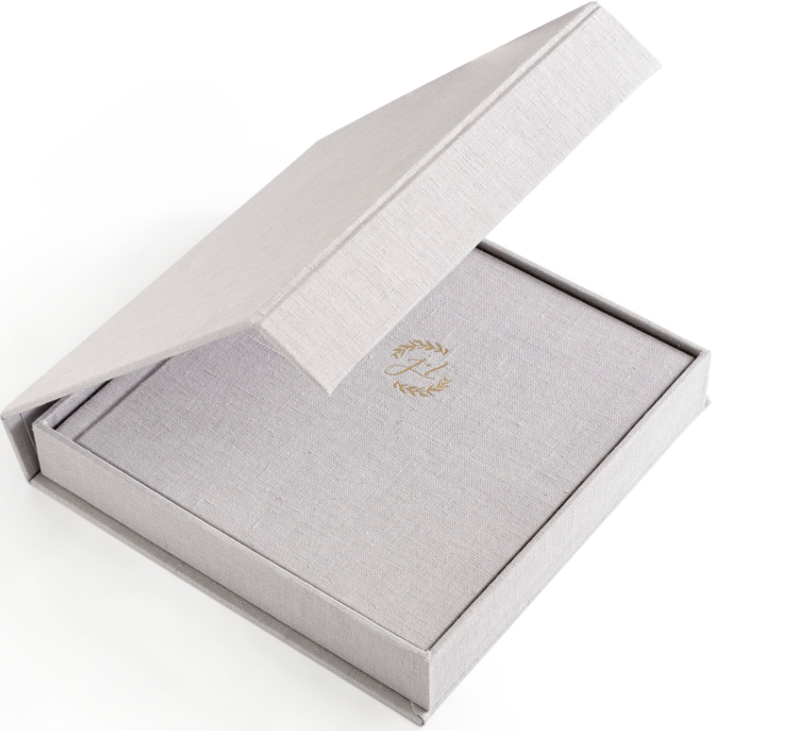 Our wooden and fabric presentation boxes are handcrafted from start to finish. Protect your heirloom album with a beautiful Fabric Box or Walnut Box and personalize the lid with custom engraving or debossing. Prints never go out of style. They have the ability to turn your image into a tangible item that will last a lifetime. Instead of your wedding images remaining in a digital form forever, value your memories with prints to enjoy not only today but to be treasured forever.Portraits of your family and friends are the ultimate gift to give away to those you are close to and were part of your special day. Perfect table-top presentation of your images. 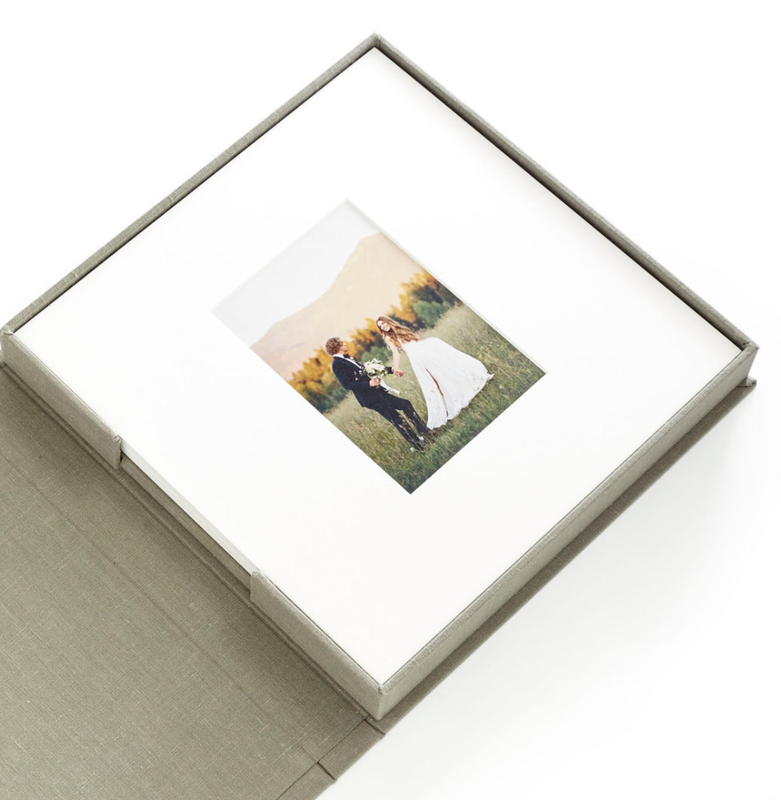 Matted Print Boxes allow you to provide beautiful heirloom products with minimal effort. Sized perfectly for the number of matted prints ordered. Fabric cover options include fine linens and Japanese silks. Debossing is available for personalization. 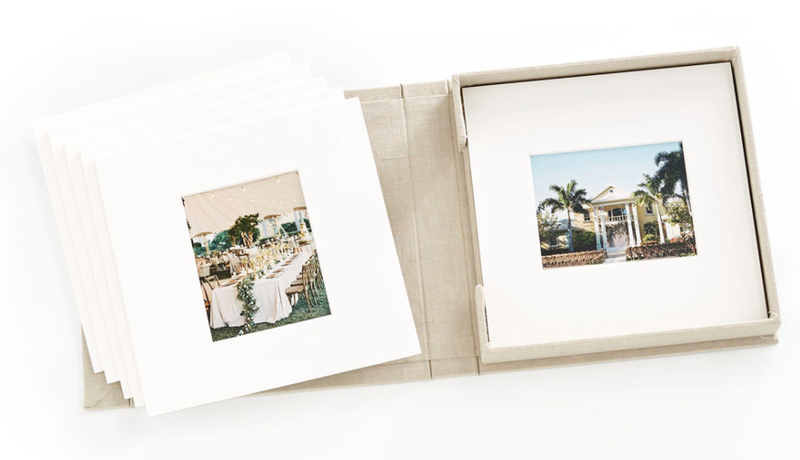 6 matted prints are included and expandable to 30. Prints are matted and backed with museum grade, acid and lignin free RagMat 4ply matboard. Remove mats for display on an easel, gallery wall, or frame. Mix and match print sizes and orientations. Prints can also be ordered from our lab. Our lab will drop-ship the prints to you. We offer two different types of paper – lustre and deep matte. Printed on Kodak Professional Supra Endura VC Digital Paper for an increased color gamut, excellent skin reproduction, sharpness, and brilliant image quality. Printed on Fuji Crystal Archive Professional Paper for an increased color gamut, excellent flesh reproduction, sharpness, and brilliant image quality. True non-reflective matte with warm whites and a super smooth finish is great for skin tones, soft images, and black & whites.